This weeks first 'Dose are new to the pages of Heavy Planet and new to the scene. Bummer, huh? No! The name of the band is BUMMER and please don't let the idea of inexperience fool you, because it could cost you. Why? Simply because these guys are angry. Plain angry. This Kansas City based trio create an aggressive model of "neanderthal" noise rock. 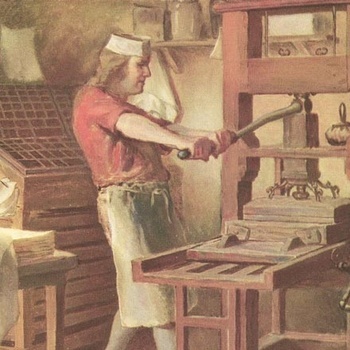 Implementing measures of sludge and punk rock BUMMER clarify in ten minutes what it has taken "shrinks" years diagnose and solve regarding anger management problems. Let it out and the issues could be cleared up in a matter of minutes... and that is exactly what you'll get here on Young Ben Franklin EP. Three songs, each running approximately running two and a half minutes. Just enough to break a sweat and forget about whatever it was that pissed you off in the first place. Check out my favorite track Good News and drown in all that thick and juicey bass. Then head over to BUMMER's bandcamp page to download the EP... it's FREE and who the hell doesn't have the need to release some of that tension? This weeks second 'Dose are not new to the pages of Heavy Planet. 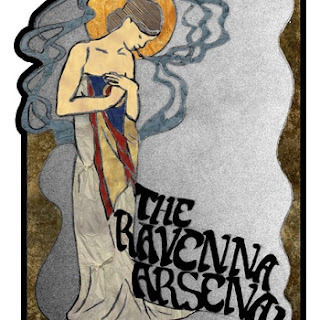 The Ravenna Arsenal were introduced as a NBTBOT a couple years ago and the quartet of progressively minded music melders have caused a whole lot of panic in Eastern Ohio. Having opened for the mighty Karma To Burn and playing gigs with other local Ohio and Pennsylvania bands The Ravenna Arsenal hit the studio to record their debut effort I. I. was released this past February heralding a concoction of experimental stoner rock, a constant evolution of sound. From the moment track two The Wild Dogs of Giza begins listeners will find what sounds like a familar and friendly stoner jam session. The song soon after transitions to some flamboyant classic rockin' and then onto what sounds like a take from Queens of the Stone Age type desert session. The Ravenna Arsenal then go full doom on the very next track The Desert Shows No Mercy. The doom doesn't last too long before they are manipulating The Desert... into a post-rock soundscape. Strange and dis-jointed at times, but I. leaves this listener in utter surprise at each twist and turn. Even the most seasoned music fan won't be ready for the metamorphosis of The Ravenna Arsenal throughout I. As we stretch deeper the musical progression continues to evolve, from the clashing cymbals and machine gun drumming found on Fire Moth to the distorted garage crunch and the rousing poppy hooks on The Pregnant Void. Hell, there are even moments during The Pregnant Void that I hear influences of The Darkness... The bloody Darkness! Strange indeed. Don't miss The Pregnant Void below and if you feel you need to keep on guessing spin the rest of I. at bandcamp.